These antique wooden planters were originally been used to store port or wine. A spectacular pair of vintage retro old wooden barrels have recently arrived from Portugal. They are real statement pieces and would look fabulous in any large garden, restaurant front etc.. 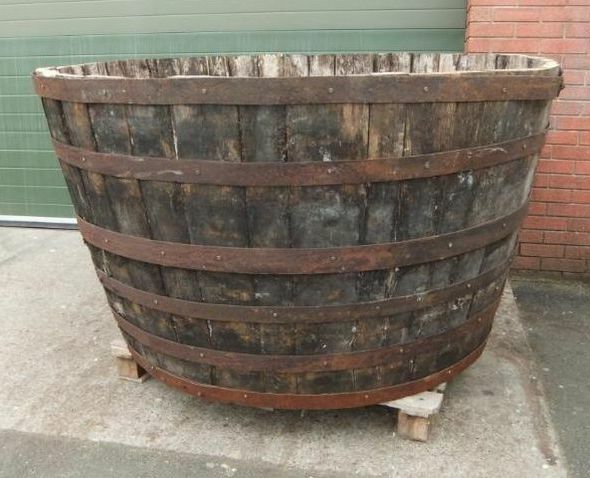 Antique wooden planters made from old wine barrels a real original feature for any home or business. They are in good condition for their age, however, there are general signs of wear, tear and use due to their age. Please note these are a pair of barrels and the price is for the two.